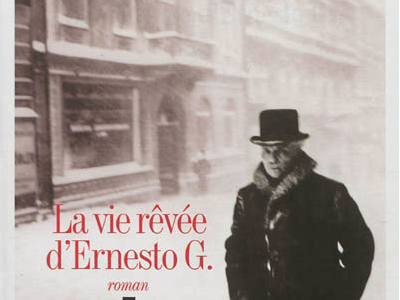 La Vie Rêvée d’Ernesto G, par Jean-Michel Guenassia. Published September 2012 by Albin Michel. Very interesting second novel by the author of Le Club des Incorrigibles Optimistes. Joseph K, born in Prague in 1910, studies medicine and goes to work in Algiers for the Institut Pasteur but has to hide in the malaria-infested southern countryside when the German occupiers begin rounding up Jews. After the War he returns to Prague and becomes a convinced communist. This tale of his gradual disillusionment takes a curious turn when he has to look after a Latin American patient who turns out to be none other than Che Guevara, who begins to be charmed by Joseph’s own daughter. The prose is sometimes slow, and the the plot constructions doesn’t have the same taut architecture as the earlier novel, but it is still a fascinating encounter with some of the twentieth century’s most poignant themes – tenderness, loss and betrayal among those who are caught in the hurricane of historical events.